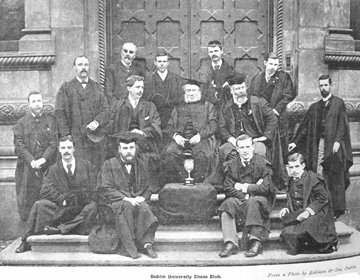 Dublin University Chess Society: Ever Wanted to Play a Grandmaster? Exciting news this week. 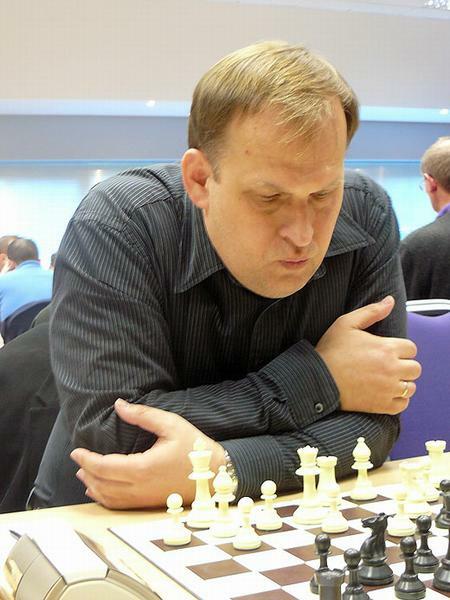 As part of the Russian Cultural Festival 2011, we will be hosting a lecture and simultaneous display by International Grandmaster Alexander Baburin (above), internationally rated 2539. For those who don't know, a simultaneous display is where a strong player plays several games at once against different opponents, making one move on each board before moving to the next game. Where? Room 3051 in the Arts building. Alexander is the only Grandmaster living in Ireland, so chances to play him, or any grandmaster, do not come along often. I'd highly recommend you play, once you get a taste of playing someone that good it really encourages you to improve. I speak from experience on that. Demand for this will be high, so get back to me soon as you can to make sure you've a good chance of getting a place.